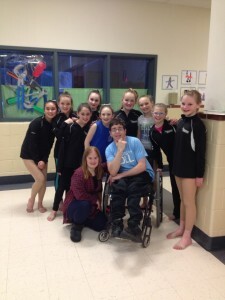 Dancers Making A Difference was formed to allow studios and their performers the opportunity to come together and share their passion and talent in a non-competitive environment while working for the good of a local non-profit whose mission they support. In the last 5 years we have raised almost $20,000. Proceeds raised have gone toward helping the following organizations. End 68 Hours of Hunger, Camp Kita, Friends In Action, and youth in the Maine Foster Care system. Initiatives for Maine Foster Care included Josh’s College Care Packages, Rose Mary’s Sacks of LOVE, and H.O.M.E. (Having Opportunities Means Everything). Maine Arts Council Dance Grant Fund, Maine Veterans Project. Dancers Making A Difference is an official 501c, and this year we are proud to announce that the recipient of our 2018 benefit performance will be the The Ryan Home Project. •Develop a model that can be replicated in any community (because this is NOT just a SAD 60 issue!). We look forward to another fantastic performance, to raise money for another GREAT cause! “Dancing To Make A Difference 2019” Benefit will be held Saturday, March 30 at 7:00pm at Noble High School in Berwick, ME, and all proceeds from this performance will go directly to this organization. Check out our facebook page “Dancers Making a Difference, or email us at DMAD122014@gmail.com for more information.